The Gabon section of the Pan-African Women’s Network for the Culture of Peace and Sustainable Development recently met with women senators. 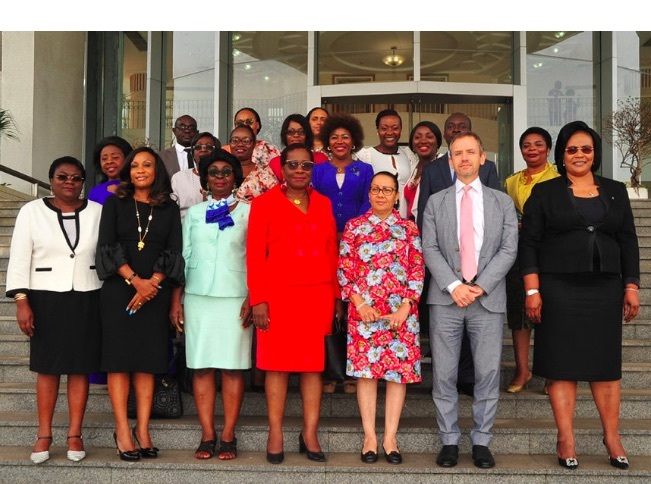 Conducted by the resident coordinator of the United Nations system, Stephen Jackson, the Gabonese section presented, its plan of action to the network of women senators of Gabon (Refeseg). The plan of action is articulated around two axes . Can the women of Africa lead the continent to peace? The first deals with the culture of peace, the appropriation of Resolution 1325 and its corollaries, citizenship, education, training, peace and security, respect for human rights, respect for democratic principles, equality between men and women in positions of responsibility, the fight against the discrimination of women. The second axis includes sustainable development, economic independence, environmental law, law and health, inclusive growth, leadership and association, art and traditional education. The office of the Gabon section, headed by Victoire Lasseny Duboze, intends to mobilize more women from Gabon’s civil society throughout the country.